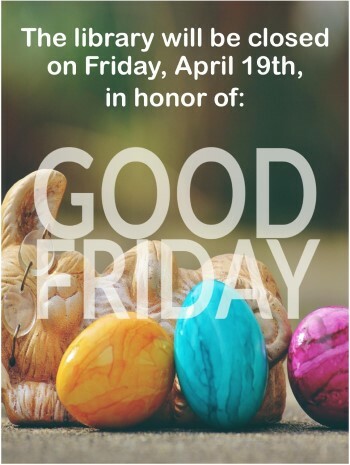 We will be open on Saturday, during our normal business hours of 10 am - 1 pm. 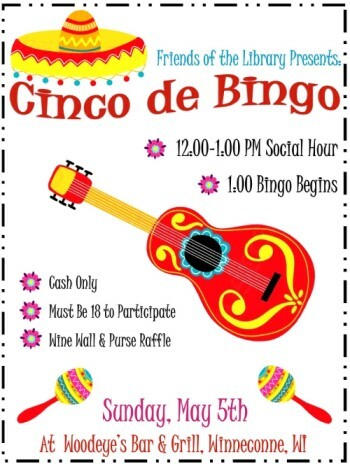 Join us for an afternoon of Bingo & Cinco de Mayo fun at Woodeye's Bar & Grill! 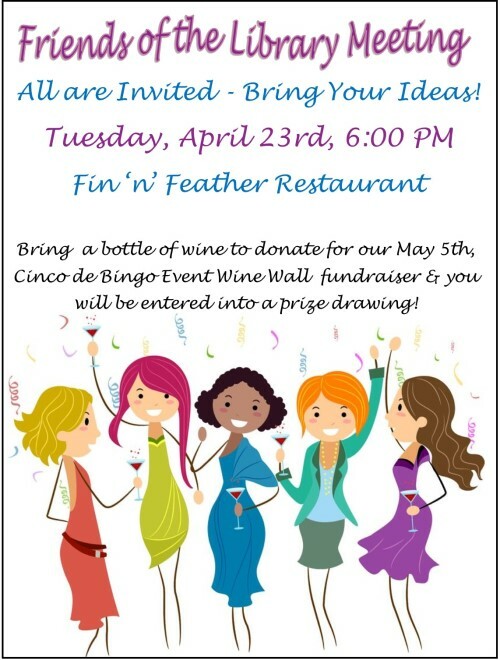 All proceeds to benefit the Friends of the Winneconne Public Library. Thanks to a generous grant from the Winneconne Area Community Foundation, the Winneconne Public Library is now able to circulate mobile Wi-Fi hotspots to its patrons.